Round five of the Enduro World Series took place in the high altitude town of Aspen, Colorado (USA). Following a high-speed crashin training, François Bailly-Maître fought all weekend to score precious points for the overall classification. 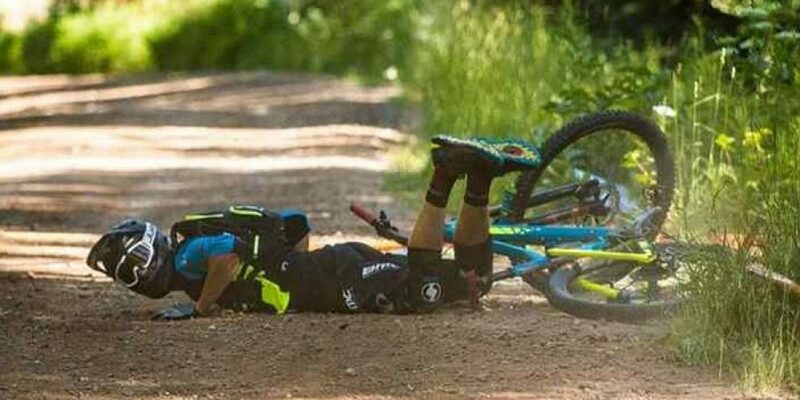 The week in Aspen didn’t start very well for François Bailly-Maître. A high-speed crash in stage three during the first day of practice, left him with a very bad cut in his left forearm. Flanked with stiches, the Frenchman had to give up day two of practice which left him to race ‘blind’ for the last two stages of the event. In pain with every little shock and even though he knew it would be impossible to perform at his best, FBM raced the six stages with the overall classification in mind. His final 33rd place will quickly be forgotten but the 130 points he managed to score means he remains in the top-5 of the EWS overall classification. In two weeks, stitches will be gone and the Frenchman should be back to full fitness for the sixth round of the Enduro World Series that will take place in Whistler, Canada; a place he knows well and where he finished in fifth place last year.